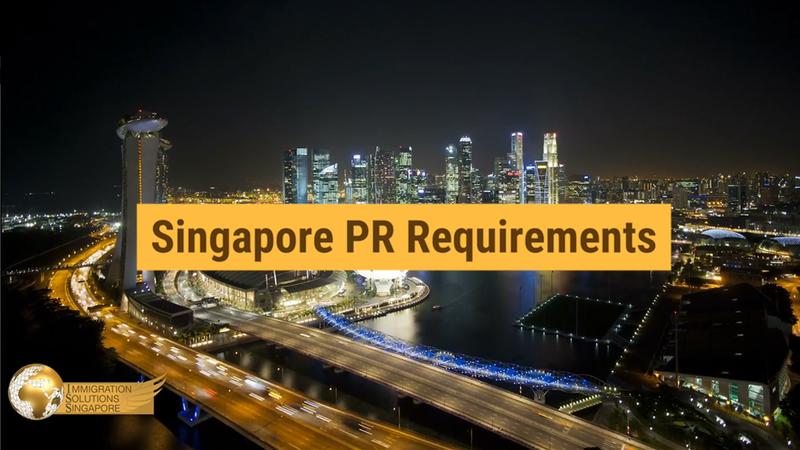 If you are living in Singapore, you’d probably know that tasty, yet affordable lunches, don’t come any lovelier than this sunny part of the globe. In fact, we can bet you our last dollar that most Singaporeans look forward to their lunch break more than anything else throughout the course day. It comes as no surprise, really, if you think about it — from nasi lemak, to laksa, to mee soto, along with a wide selection of hawker food fares, your world literally morphs into a food haven when the clock strikes noon. Now that we got your stomach rumbling, you are probably eager to know what is the favourite go-to lunch staple among Singaporeans. The answer to that is none other than nasi padang. Do not be deceived by the number of syllables it has. It may be two words, but the infinite combination of dishes that you can generate from it is mind-blowing. Nasi padang is originally an Indonesian cuisine native to the Minangkabau population of Padang in West Sumatra. In the Singapore context, nasi padang is essentially steamed rice served with other types of dishes that may or not be of Padang origin. Many established nasi padang eateries here in Singapore have customised and tailored their dishes to suit the local palates. More often than not, eateries that offer nasi padang options normally practice the ‘pesan’ method — where you point and choose the mouth-watering dishes behind a glass panel to your heart’s fullest content — and subsequently devour it banquet style. The diverse renditions of the nasi padang widely available are definitely tasty, affordable as well as serves as one of the many halal food options for Muslims in Singapore. Let us take a look at some of the prominent nasi padang eateries in Singapore that can fill up the black hole in your stomach in a single sitting. 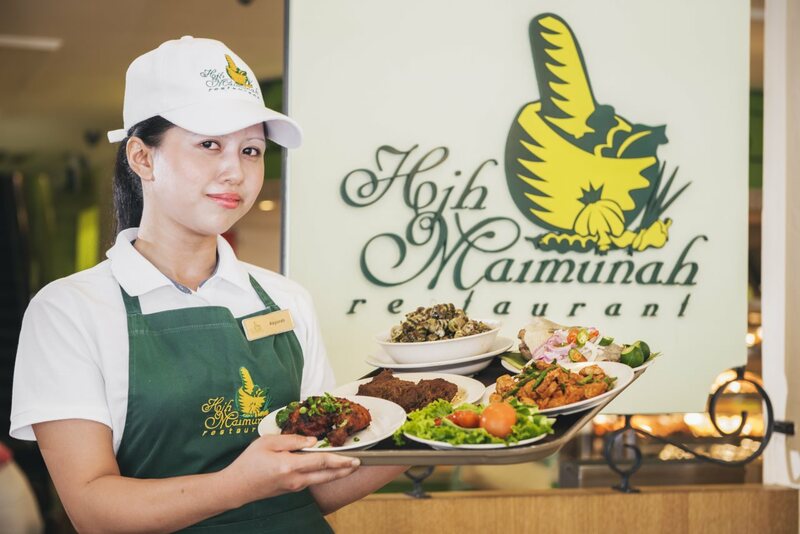 The Kampong Glam area was home to an array of exclusive nasi padang eateries which co-existed harmoniously, until an unknown newcomer by the name of Hjh Maimunah set its foot, planted its flag and opened its nasi padang doors at Jalan Pisang in 1993. The relatively new upstart caused quite a stir back with its bold move and competition was obviously brutal for the initial few years. However, the restaurant overcame all odds and has successfully carved out a prestigious name for themselves as the go-to place for a massive selection of over 40 popular authentic Malay and Indonesian dishes all under one roof, as opposed to serving just Padang food alone. They now have two outlets located at the heart of the Malay enclaves in Singapore — Kampong Glam and Geylang Serai — and thanks to are-conditioning and abundant seating, they have firmly established themselves as a convenient place for large families, tourists, expatriates and even newbies who are searching for a more authentic introduction to Malay and Indonesian food. Most of the dishes are delectably flavoured to bring out the taste of the classic Malay kampong cuisine. The soft and succulent beef rendang is a must-have, not too intensely flavoured with a touch of coconut-like richness. Their sambal goreng jawa is equally good and packed with a delicate taste. Among their other signature dishes that can ramp up your ‘sedap’ level are the ayam bakar Sunda, lemak siput sedut, oxtail soup, sotong hitam and tahu telor, which is served in a thick, creamy and rich gravy. One of the longest surviving nasi padang eateries in Singapore, Warong Nasi Pariaman was the pioneer in the Kampong Glam area, even before Hjh Maimunah entered the scene. It has amazingly stayed put in the same exact spot near Kandahar Street since 1948 and is the go-to lunch spot for a handful of lawyers, including the late Subhas Anandan. Until now, Warong Nasi Pariaman remains one of the many family-run businesses around the Arab Street precinct. Food preparation gets underway as early as four in the morning and its signatures include sambal goreng Jawa (tofu and long beans), beef rendang and ayam gulai. Minang House is an eatery that caters to homesick Indonesian expatriates craving for authentic Padang dishes like the ones they used to enjoy back home — yes, it is that good! Do not be fooled by its plain-looking façade. The food they serve is uncompromising, with every single one of their dishes bursting in bold flavours. And bold they are as Minang House is one of the few nasi padang eateries that offer peculiar variations of nasi padang sides, such as the rare sambal goreng tiram, which excludes long beans but include dried oysters in addition to the usual tempeh and tau kwa. The potato bergedil is also prepared in its own unique way — these round potato balls come flavour-packed with a bucket-load of meat scraps, coriander and fried onions, which melts softly once you place them in your mouth. Other popular dishes include the beef rendang and ikan asam pedas, while the dendeng batakok is definitely a must-try!